In this post I would like to share briefly yet another pile of work in the field of ‘Arctic-based’ design research. My personal fascination with mobility of Arctic nomads, coupled with professional interest in experimentation in the field of design education have recently resulted into the project “Visualizing Arctic Mobility”, funded by Finnish Cultural Foundation and Ella & Georg Erhnrooth Foundation. 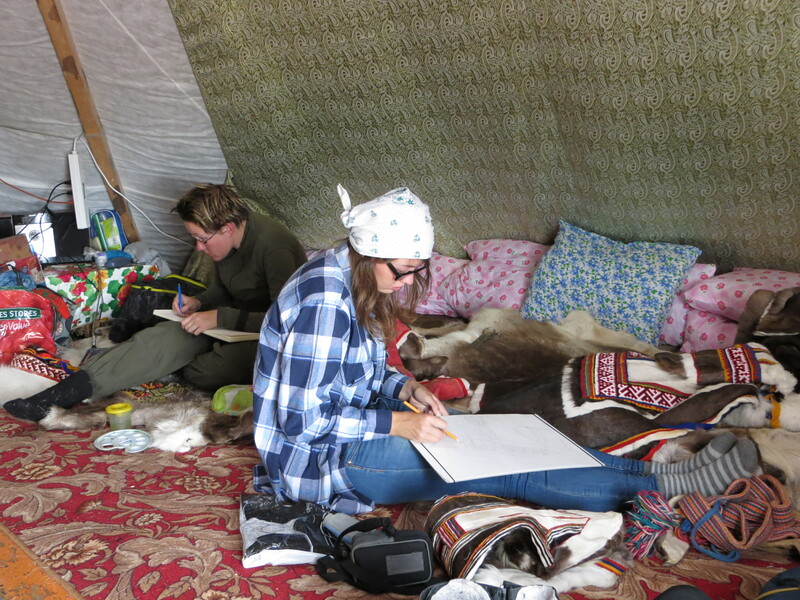 The central part of this project was a field trip to remote indigenous settlements of Yamal as a form of outdoor artistic practice for art/design students from Finland and Russia. The aim was to deliver new exercises and learning materials as well as new forms of presenting research findings, i.e. in addition to verbal the findings will be further presented through film, drawings and paintings. – A former trainee of the University of Lapland, currently a videographer in Film Production Company Joulupukki TV Nuno Escudeiro. Of course, such amount of participants is rather big for an expedition with the ethnographic focus. I must admit we were not mobile and flexible at all: it was pretty difficult to engage with the community and, consequently, to immerse deeply into their daily life. On the other hand, however, it was fruitful in terms of variety of ‘thinking hands’, i.e. drawing skills and techniques as well as artistic visions. 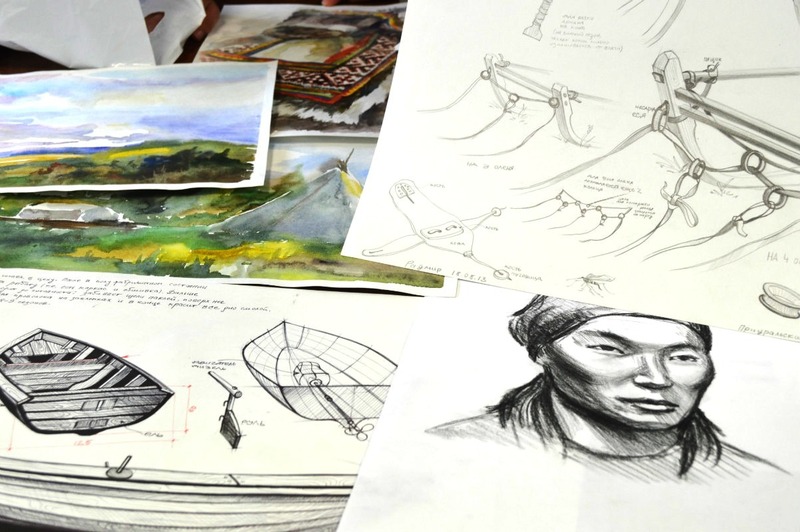 During the expedition per se, the focus was on making observational drawings: from paintings of surrounding landscapes (though of minor importance), and, of most importance, portraits of people and their belongings. It was critical to draw not ‘an average Nenets sledge’, but the narta of a particular craftsman made at a certain place with certain conditions. Our personal approach (let’s call it ‘the way of visually connecting a product with its maker/owner’) brings the artistic (emotional) vision into the ‘dry’ process of data gathering. In other words, ‘living’ hand drawings will help us further to understand how indigenous craftsmen produce ‘living’ things, in their multiple essences – from physical to spiritual. The work is now moving to the next stage, i.e. to analytical drawings. The first public exhibition is expected to be in December, at Aalto University, Helsinki. I will keep you posted about the progress, and meanwhile, would love to hear any questions, comments and suggestions. P.S. 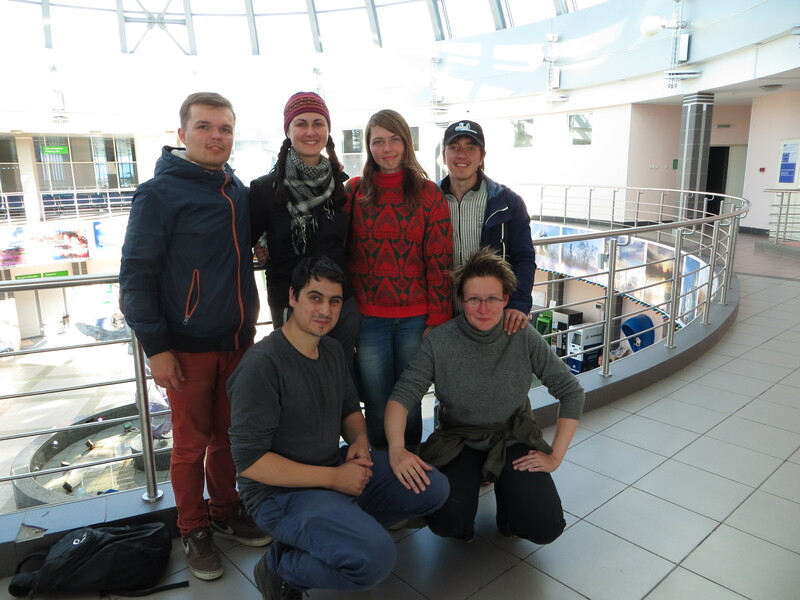 Many thanks to Lidia Kelchina, the Department of Indigenous Small Peoples of the North, YaNAO, and to Yury Novopoltsev, ‘Yamal Tour’, for the organizational support and invaluable help during our adventurous trip. This entry was posted in All, Fieldwork, Indigenous Peoples, Russian North, teaching and tagged Arctic design, material culture, nomads, Yamal. Bookmark the permalink. Very interesting work. I would very much like to receive more details about your observations on Nenets art, design, and spiritual concerns. For example, concerning art and design, what kind of wood (from what tree) is used in the Nenets sledge construction? How are the planks cut and the bends made, and what tools are used to craft the joints? I see a lovely schematic drawing of a sledge in your photo. Is it available, in its entirety, online? I would be eager to supply more questions if you are amenable to answering them. Thank you for your post. – there are different types of wood used (depends on particular territory), but the most popular are larch (durable, sturdy, but too heavy) and spruce (it’s lighter, easier to handle, but softer and therefore gets worn out rather quickly (esp in the region where we were – close to Ural mountains, with rocky terrain). The combinations are quite common: there might be the runners made out of spruce and the the main body – of larch (at a first glance of an ‘outsider’ it seems to be more logical to do it vice versa (and some craftsmen do), but it is all about the weight of the entire sledge: the construction should be as light as possible, and the runners are the biggest and heaviest part of it). There are also small elements of the sledge (e.g. the front crossbars) sometimes made out of birch or alder (again, depending on the region): both are quite soft and therefore easy to fit into the holes in the upper fore-parts of the runners. – as for the bends, the most traditional/widespread method is by hot water (with further wrapping with rags to prevent quick evaporation) or by straightly heating the fresh wood (with natural moisture) the fire (the inner part of the bend). One of contemporary ways is to soak in diesel: the wood softens much faster and, in addition, the diesel has a kind of antiseptic effect (it kills possible parasites inside the wood). – as for the tools, the main one is axe with one-side sharpening; a traditional hand drill to make holes (it per se looks pretty exotic: http://geoblog.rgo.ru/uploads/images/00/00/92/2011/06/18/875f02.jpg), and a plane to refine surfaces. As for technical/construction drawings, they are now in process and will be presented in the upcoming exhibition. A bit after that I will also make them available online. As it depends so much on the specific terrain and season where sledges are used, on the Yamal Peninsula with marine clay and sandy and boggy ground you would find different sledges than in the Polar Urals with stony terrain. In the Urals you find sledges with double-layered wooden runners, on top of which some still put another layer of plastic. On the tundra flatland you find mostly spruce sledges, as the distances covered during nomadic migration reach up to 1200 km yearly. People would change from summer to winter sledges. Cargo sledges of course would be built more sturdy (more likely larch used), while sledges for herding are lighter-weight, easier to maneuver, and lower. Good sledge-builders would never use a single nail or piece of iron. Only wooden joints. For repairing, ropes are used. Russel, what’s your background and interest in this? Thank you both for such thoughtful answers. I’m sure the Nenets indulged in a good deal of experimentation with materials and construction over the centuries. Are wooden joints locked in place by means of wedges driven into the tenons, or dowels inserted across the mortise and tenon joint, or do they have something they use as a glue? Ropes are used to tie joints together where they have failed, for example, if a strut has bounced out of a framing member? First, my college major was anthropology. Human adaptation, on both an individual and social level, has always remained a fascinating subject for me. It has also, of course, never been more important than now (with the whole planet at stake) to look again at the whole human endeavor. Second, I am a professional cabinetmaker here in northern California. I see wood as a primary human material, no doubt the most useful we have ever had. It is beautiful without limit on its own, organic and always new, able to provide us with heat and light as well as, for millennia, most of our tools and artifacts. It is also a medium of high art as a base for paint, a sculpture material in relief or in the round, and a medium for functional and expressive design all over the world. What people do with it is always enlightening. Third, I am currently toying with a rather odd book, instigated by my two daughters many years ago, that has come to incorporate a fictional, but still informed, version of a Nenets clan (I have social questions as well). Never having been among them, nor even in their part of the world, I am left mostly with invention (which I pursue with abandon) of social interactions, of place – although I use real place names – and of landscape in the particular. It is, to be sure, invention with the purpose of telling a certain kind of story and, as such, it must often supersede reality anyway, even when known, to make it all work. I certainly make no pretense of ethnographic veracity, but the more I can base my version of them in actuality the more substantial I believe the story will be. Having someone to ask questions of on the ground there is quite a luxury. Thank you so much for taking the time to respond to me. Thank you very much for joining us, Florian! I was looking forward to your comment, since you are definitely the most experienced ‘western user’ of Nenets things, so far. I would also like to hear your extended comment at some point, maybe when I am ready with the next stage of the drawings. Russel, thank you for introducing yourself, seems we have a lot of connected interests. I will keep you informed how the work goes and try to provide accurate answers to your sometimes tricky questions 🙂 . Interesting knowledge on arctic design and production technologies.The term “unveiling drawings” sounds pretty inspirational to me! Perhaps, the essence is telling an ethnographic story from an unveiling viewpoint, since the ethnographer hardly gets every aspect of the culture from an insight view? 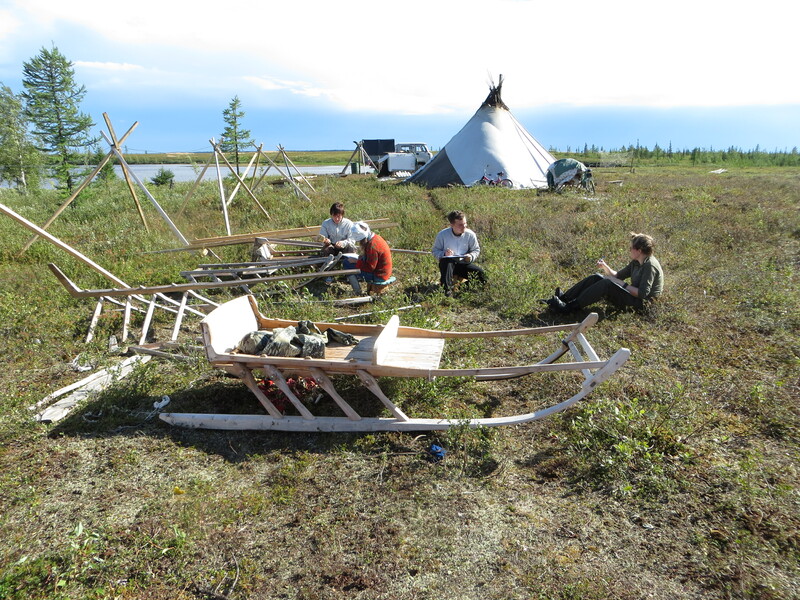 Interesting to realize these adaptation know-how approaches by the Yamal indigenes! I was wondering, have you made some comparison of these adaptation technics of design in Yamal community relative to 10 decades ago? How has it evolved?